A child’s first encounter with reading is a presentation of a problem. He sees a group black marks on a piece of paper and must recognize these marks as letters that form words. He must decipher each and every letter and know the single, double, and triple blended combinations working together to represent one sound to be able to form words. 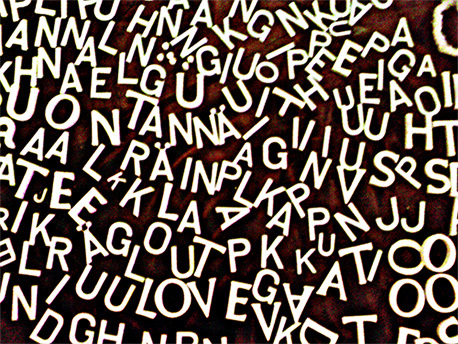 Twenty-six letters and forty-four phonemes in all. Complicated, I know. Make mine a triple. Reading readiness. There’s read in readiness! Intellectual readiness– Visual perception, where a child can take in and remember and entire word and the letters that combine to form it. Language readiness– is the ability to speak clearly and use several sentences in the right order. Coffee, jittery make you! Personal readiness– Sustain attention, work with others, and follow directions. I know many adults who can’t follow directions. The second phase of learning to read in Kindergarten, children are given sight words and very simple materials to read. With luck a child learns 300-500 words. Basic skills like context and comprehension. If your child passes this basic criteria…you are on to Shakespeare. This is where we stop with a dyslexic child. Dyslexic children learn by memorization, that’s good you say. Memorization leads to sounding out, right? Yes, but when the words are jumping off the page or twisting around everything goes out the window. It is easy to identify a child who is having difficulty reading. They stammer they stutter, they make excuses, burst into tears and call themselves stupid. The simplest way to find out of your child is dyslexic is to sit down and read with your child. Trade words; the parent reads one and the child reads the next, simple. If they have difficulty ask how they are feeling. Ask what they are seeing. If the child says, the words are jumping around or they look funny (squiggly), a problem has presented itself. If the child shows difficulty in sounding out after a regular course of phonemic awareness has been covered. This is what you do and I will point out that it takes a mountain of patience to sit with your child and work with them through their frustrations. Dyslexics don’t see or hear the sounds like others. To simply show a dyslexic the letter ‘a’ and say that makes the a sound (apple) is ludicrous. when the letter isn’t even seen or has inverted on the page. It isn’t as easy as that, for every person who reads, writes, or plays piano, a foundation is build first. I sang the ABC’s to my children countless times, I recited the alphabet “A says a-” I think the synthetic ABC (phonics) method gave my P’TABS, (Post Traumatic Alphabet Syndrome) but it is necessary as many dyslexics lack in phonemic awareness. This is what I did with my son. Since there is no reading involved. We started in the kitchen with the alphabet, peeling potatoes and working on a few letters at a time. Lesson one. Vowels. A E I O U. We practiced by mimicry. I said a and he repeated a until he could say it consistently. Simple yes, the destruction of the world to an eight year old, absolutely. In my education to be a teacher for a private kind of schools, we was taught to use adventures to learn to recognize the letters, which were a help for all of the kids. We taught the kids to write before reading, so they made their own book and were able to read after this. It was a special philosophy we worked for and there were space for several kids with problems in each class, because the other kids then also learned to help each other. An out of the box approach is always welcome when teaching kids with dyslexia. I would love to hear more about the how’s and what’s of what you did. Sorry for my delay of answer, I needed to think and remember good, before I would answer you. Use a whiteboard or so for explaining and drawing. To learn the letters, use fairytales and fables. Fx the S you tell a story about a snake and draw the snake in a S at the whiteboard. Then your kid draw a snake same place. You use the sound like a snake Ssss and tell your kid that this Ssss is an S. The same with all the letters. Not to make it too boring, you draw at a floor or outside a big S and let your kid walk, jump at one leg, then the other and then both legs through the snake. If you can, draw it artistically, so it looks more exciting. When your kid has learned all the letters, you make a story, easy, as he will write in a new book with lines, as you buy to him and tell him that he will learn to write this book. When he has been writing one whole story, you can ask him to read the story for you. Remember not to act too fast or demand too much in one day. If you can make him to move, jump etc this will support him. 10 Minutes before education starts.